One of these systems, dubbed Deep Video Portraits, shows the dramatic extent to which deepfake videos are improving. The manipulated Obama video from last year, developed at the University of Washington, was pretty cool, but it only involved facial expressions, and it was pretty obviously an imitation. 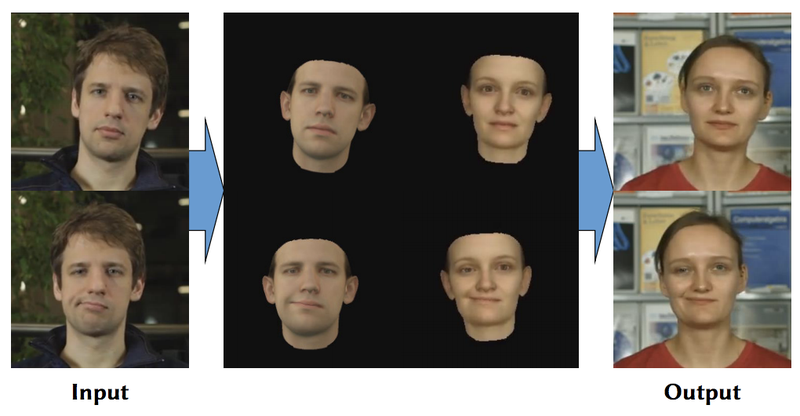 The exercise served as an important proof-of-concept, showcasing the scary potential of deepfakes — highly realistic, computer-generated fake videos. Well, that future, as the new Deep Video Portraits technology shows, is getting here pretty damned fast. Secondary algorithms are used to correct glitches and other artefacts, giving the videos a slick, super-realistic look. They’re not perfect, but holy crap they’re impressive. The paper describing the technology, in addition to being accepted for presentation at SIGGRAPH 2018, was published in the peer-reviewed science journal ACM Transactions on Graphics. Unfortunately, this system will likely be abused — a problem not lost on the researchers.